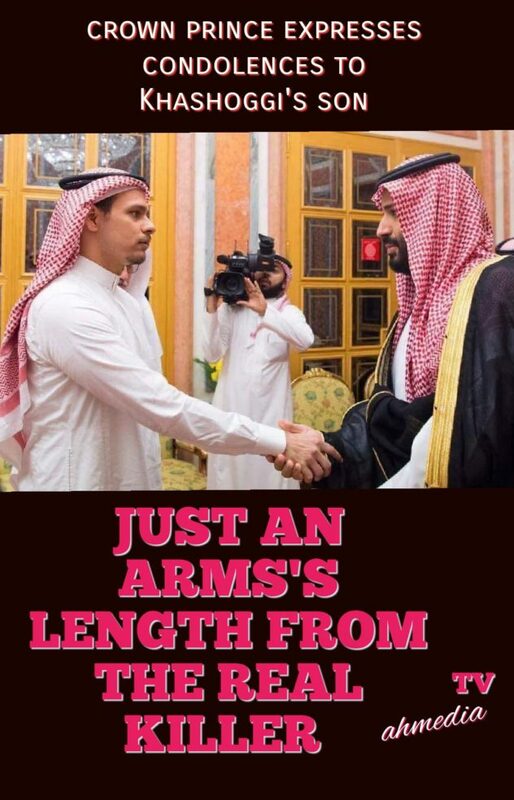 MBS , THE PRINCE WHO TURNED TO A FROG! | Notes From America ! 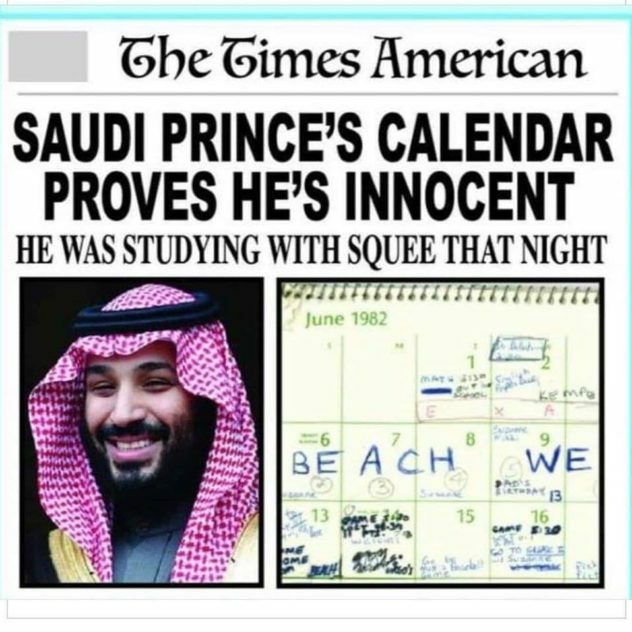 Since then, the Saudi reaction to this crime has been a mix of lying, denying, deceit, then admission, and according to Trump, the worst cover up story ever. 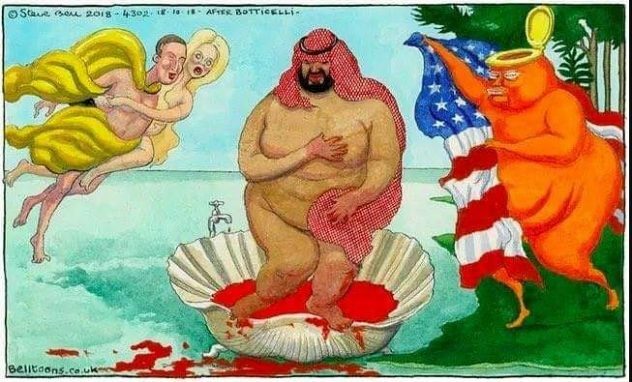 MBS has become a laughing stock around the world; unpredictable, untrustworthy, an impetuous rich son a pariah leader. Now the sick prince walks like a man with leprosy, he can’t even get someone to shake his hands or take a photo op, no one wants to touch him or be seen with him. The sick Saudi prince is now embarking on a political cleansing trip around the world, attempting to join the world leaders of the G20 summit in Argentina. However, before getting to the world financial promised land, he had to visit a few Arab leaders with no power to say no, like Bahrain or bankrupt, despotic leaders like General el-Sisi, who eliminated his opposition and got to power with Saudi support and money, a few hundred Egyptians paid money and Viagra to show up in Tahrir Square to wave Saudi flags. 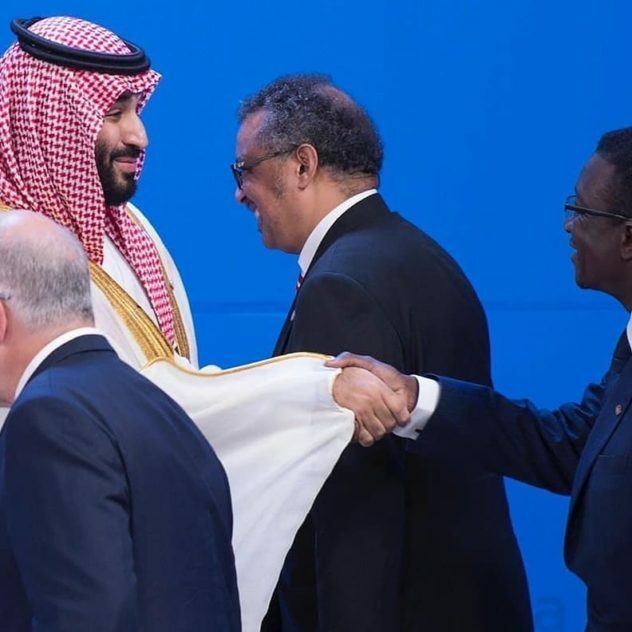 Then MBS visited Tunisia, the country that sparked the Arab Spring, the only country that survived a Saudi counter-revolution war and its jihad against the Brotherhood, met by the Tunisian president Essebsi, who needed lots of money to save his bankrupt economy. However, unlike Egypt Tunisia had been engulfed in protests and demonstrations with chants like “No to the “Saw Man”, “No to the killer,” “No shaking hands with bloody hands,” and “MBS will desecrate our revolutionary land.” A Tunisian lawyer was asked to keep him in Tunisia as a guest, a good gesture, in exchange for Saudi Arabia hosting former Tunisia dictator Bin Ali, launching the first dictators exchange program in the Arab world. The sick prince now has no political credibility, but has lots of petrol money that he has been squandering since he consolidated his power in Saudi Arabia. 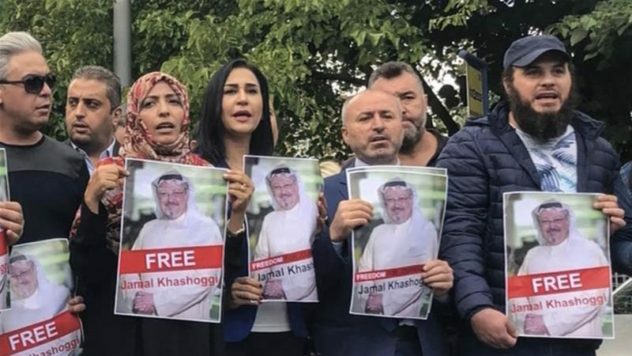 A human rights agency reported that they are looking into filing a legal request for his arrest once he arrives in Argentina, the head of the organization thinking that international law in addition to the Argentinian laws will back this up in response to accusations of Saudi crimes in Yemen and the killing of Jamal Khashoggi. This is the sick prince’s last chance to survive his terminal disease. He has to prove to western leaders that he is still a player and has some leverage and that he is their man in the Middle East. As Obama once thought, some banks are too big to fall, for Trump MBS is too rich to fall, being very useful, creating lots of jobs for the Americans, buying expensive weapons, in addition to being good for Israeli security and keeping the Zionist project alive. 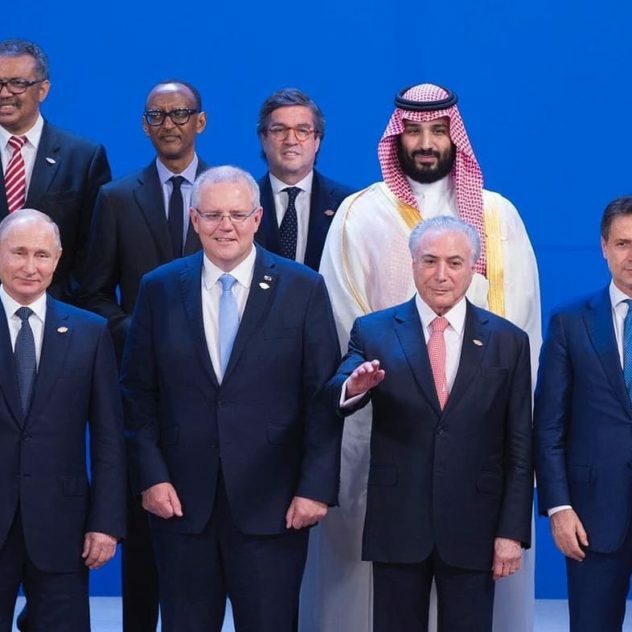 Trump already gave MBS a pass, and enough to get him inside the G20, opening the door wide enough for him to get through, his security advisor, the man with an ugly moustache and ideas to match. Mr. Bolton, unlike the CIA, exonerated the sick Saudi prince. Trump’s Secretary of Defense James Mattiswent to his defense, claimed that the Jamal Khashoggi tape has no smoking gun incriminating MBS. When he was asked if he listened to the tape, he said no, then stated that the reason for not listening to the most condemning piece of evidence against MBS, in the crime of killing Jamal Khashoggi, stated that he doesn’t understand “that language”; he meant Arabic. Coming from a guy who is called mad dog, responsible for the killing and torturing of thousands of Arabs in Iraq, this response is a tame one from a mad dog. 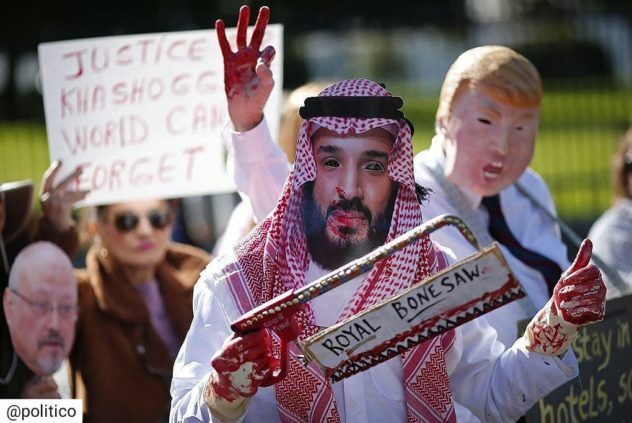 Regardless of the fate of the Saudi Prince MBS, and whether he survives this atrocious crime, MBS is now a sick prince, living like an Arab Falcon with a broken wing… flying close to the ground, for a safe crash.